Today marks the end of National Ice Cream Month. I mean, don’t kid yourself, I’m still going to be enjoying ice cream all through out August and probably the rest of the year. 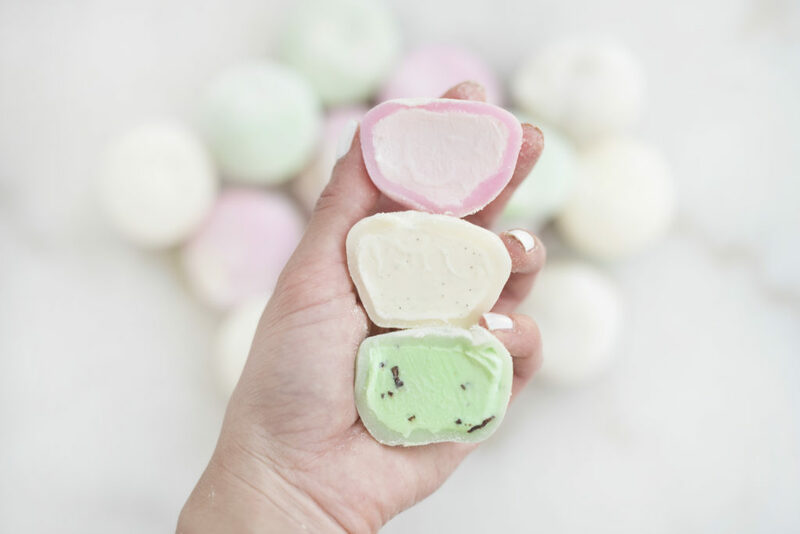 However, I thought I’d wrap up this month with one more ice cream post that features one of my favorites – mochi ice cream. 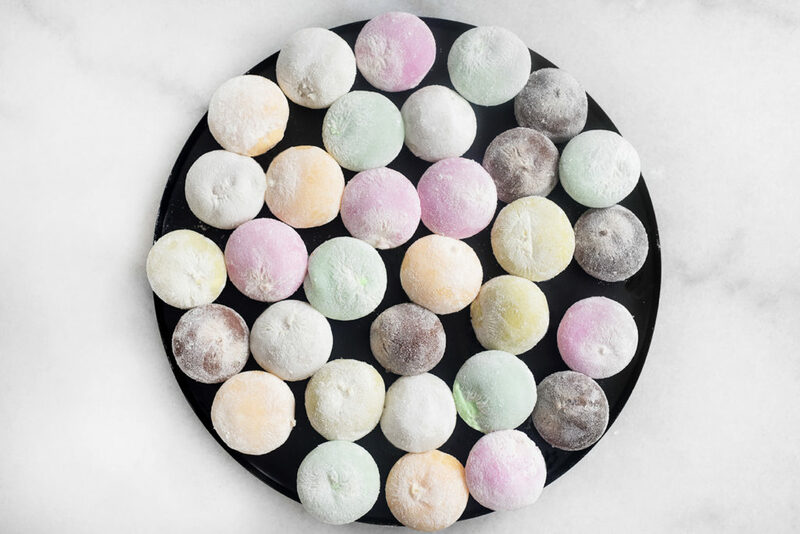 What is mochi ice cream you ask? It’s a life changing little dessert that makes people smile. 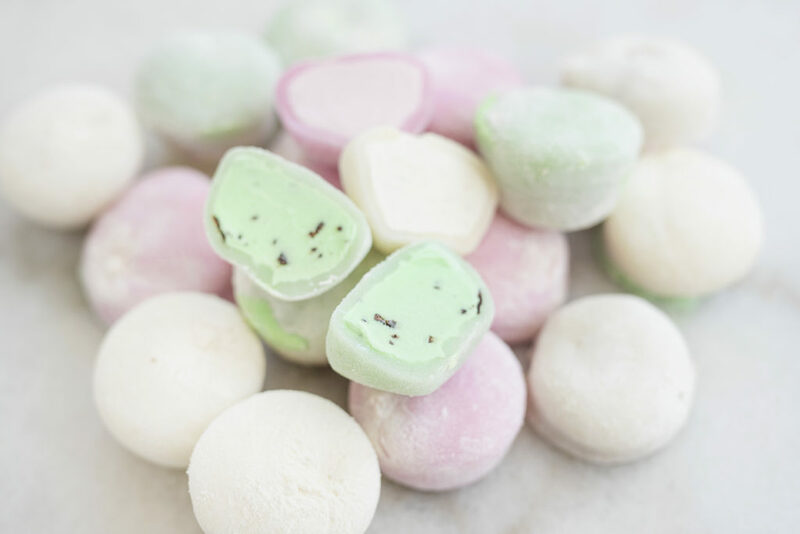 The first time I tried mochi ice cream was several years ago when I was living with my old roommate, Sasha. She brought home a little carton of six. I think it was either from the grocery store around the corner or Trader Joe’s. I can’t remember. But what I do remember is her standing in our kitchen munching on a little green tea mochi and I was like “what in the world are you eating”? This was way before the mochi trend picked up speed. Really curious, I asked her if I could try one myself. As I bit down my teeth sank into the delicious dough then hit the creamy cold ice cream. Woah. That was my first reaction. 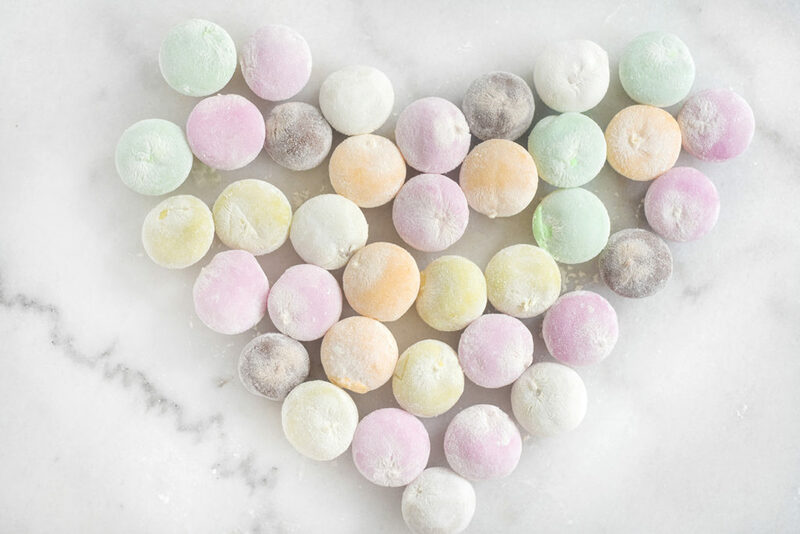 They are the perfect size for a a quick fix to your sweet tooth cravings. The dough is a sweet rice dough that wraps around different flavors of ice cream. 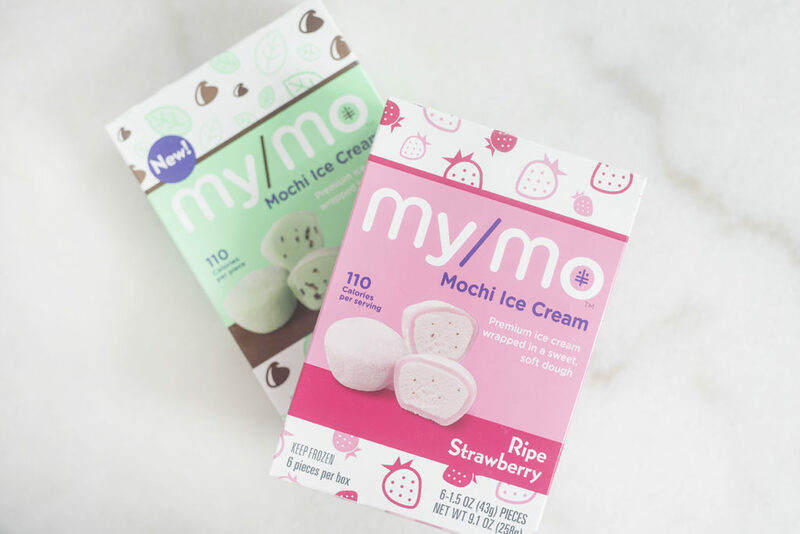 The mochi you see in this post is from a newer brand called My/Mo. They have a pretty wide range of flavors and I also love how colorful their options are. My favorite flavors from their collection are strawberry, vanilla bean, and mint chip (pictured at the top of the post). Sami’s favorites are the sweet mango and green tea. 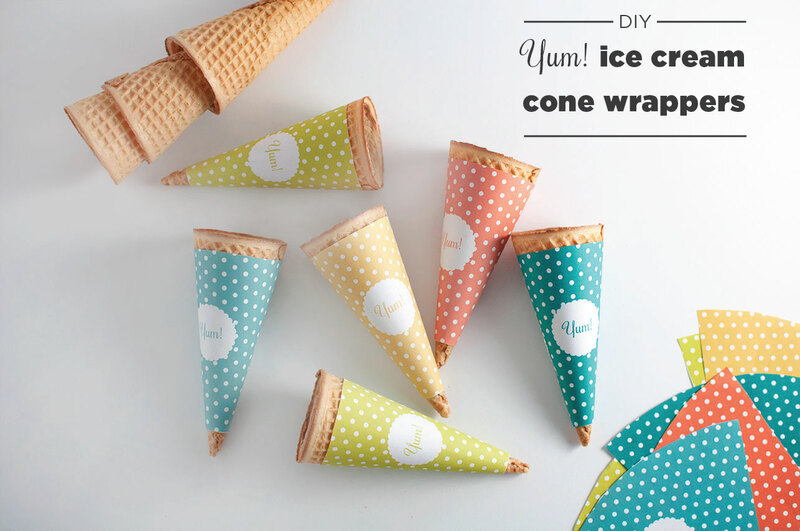 The ice cream in the center of these is really creamy. 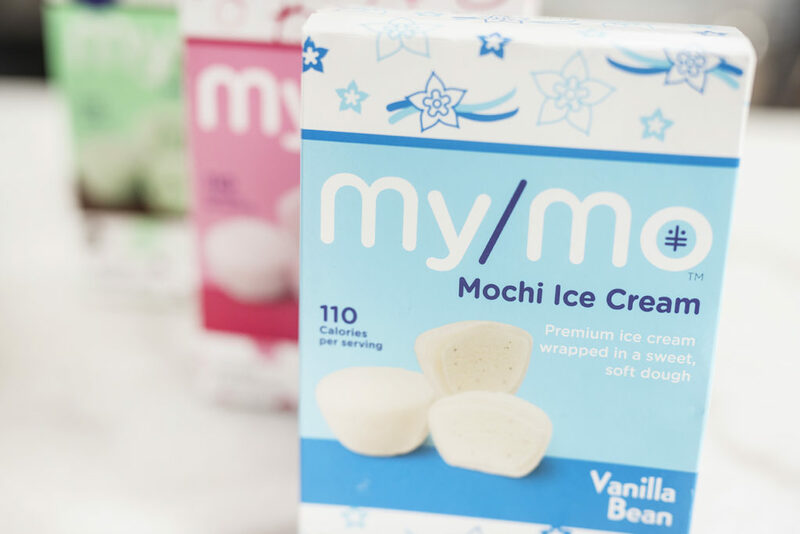 Not to mention, each mochi is only 110 calories! 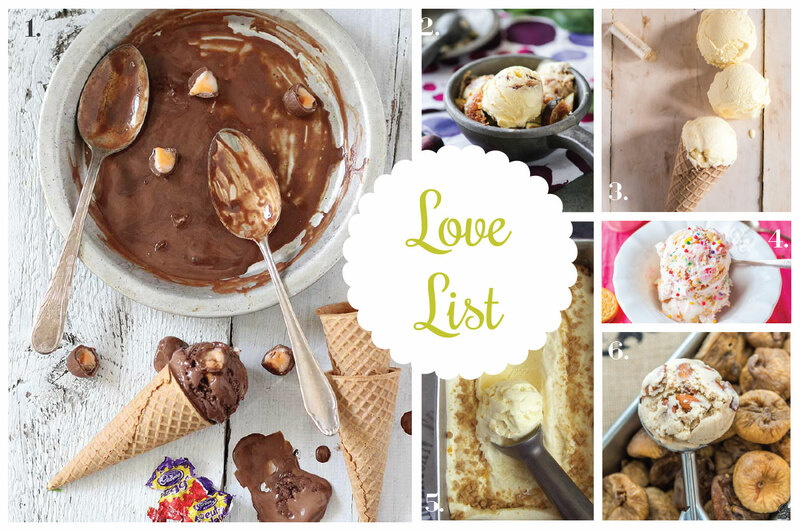 Hassle free dessert without the guilt. 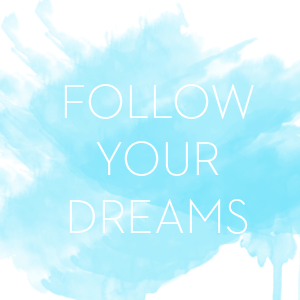 YAS please. 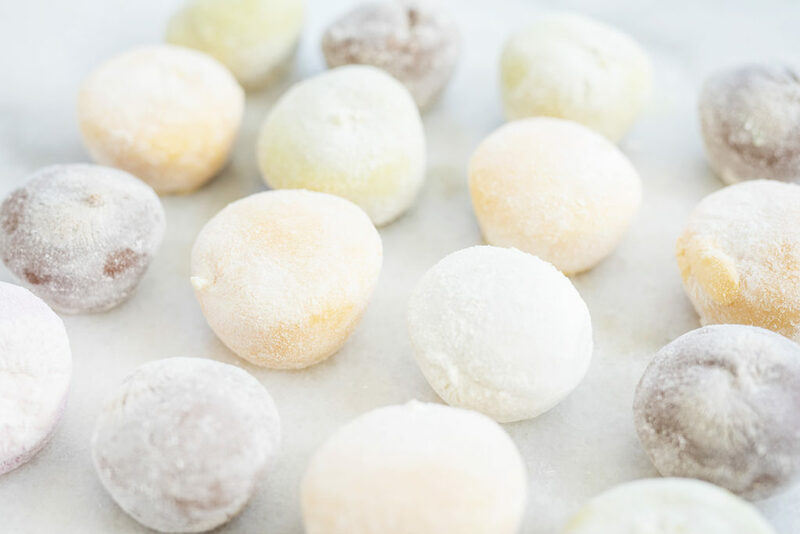 Have you tried mochi ice cream before? What was your experience like?